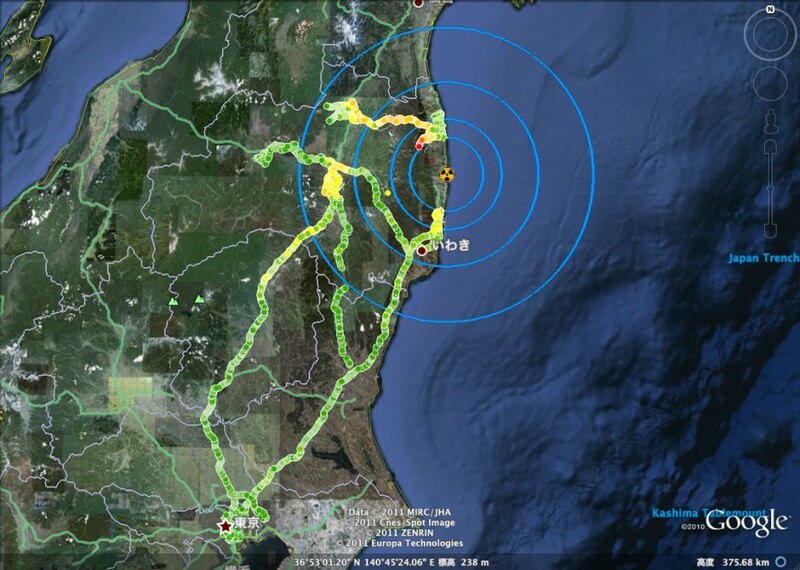 The team at Keio University’s ‘Scanning The Earth’ project as plotted every single data point that we’ve collected on our mobile drives onto one single map. They have close up and zoomed out JPGs of the entire thing, as well as a Google Earth KMZ file that you can download and explore on your own as well. It’s pretty amazing to see this all together. This entry was posted in Data, Featured, Fukushima, News. Bookmark the permalink.